Happily, author Liana Werner-Gray - known for her best-selling books including The Earth Diet and 10-Minute Recipes - has done the research for you. Within these pages she has gathered the best foods for various types of cancer, along with 195 simple and tested recipes created to boost your immune system and promote healing. Designed to work on their own or in conjunction with other therapies, these healthy and appealing meals can also be tailored for a gluten-free, keto, vegan, and paleo diet. 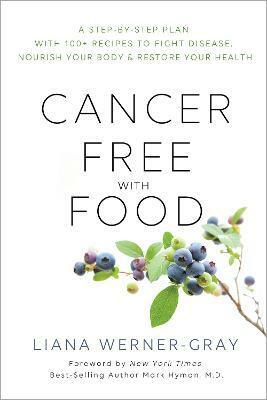 An excellent resource for those serious about preventing and treating cancer. The meal planning will reduce your stress and supercharge your immune system! -- Mark Hyman, M.D., director, Cleveland Clinic Center for Functional Medicine. "In Cancer-Free with Food, Liana shows how to turn your kitchen into a pharmacy so that you can take care of your health at the most fundamental and important level."